See more reviews at What Danielle Did NextI really, really, really wanted to love Gameboard of the Gods. I don’t have many authors on auto-buy anymore, Harry Potter is over and Lauren Oliver wrote *that* non-ending but Richelle Mead is always worthy of a fangirl wiggle so when I heard she was publishing a new Adult paranormal/fantasy series I had to have it. I confess my experience with Mead is strictly YA related, I am such a fan of Vampire Academy and Bloodlines but hadn’t read her earlier Adult works so I was pretty much going in blind. Straight off one of the most notable absences in this book is Mead’s trademark humour that one comes to expect from reading her YA. I think I cracked a smile once throughout the whole book which weighing in at over 450 pages was a bit disappointing. I wasn’t expecting jokes a plenty but even Adult stories can have a bit of lightness weaved through it especially when Mead is so good at it.In the new Age of X series, Mead introduces us to a world where religious extremists have unleashed a genetic virus killing half the population leaving the infrastructure in tatters. After a chaotic several years, the former US and Canada band together in a republic called RUNA. Realising that the genetic effects left behind from the virus are less noticeable in people of mixed ethnicity, a policy of “gene swapping” where people of different racial backgrounds breed is implemented. Certain “castes” resist these attempts and form their own colonies. Years later RUNA considers itself the shining beacon of civilisation with an iron grip on all aspects of its citizens lives. Religion is strictly controlled with licensing to worship needed and those who live outside the boundaries are seen as backward and dangerous to their ordered society.I found this book at times to be mentally exhausting, there is so many names, places, factions, castes, religions, technology introduced and it was overwhelming at times. An online glossary is provided by Mead which I found vital and hope it is included in the finished book. 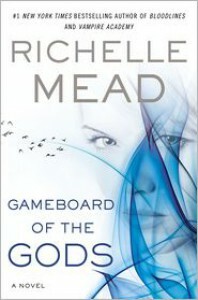 The world building is teased throughout the book as Mead is clearly reluctant to info-dump simply casually mentioning what later turns out to be vital plot points yet not explaining them until 100 pages later.The book is told from three perspectives, Mae – a super soldier, Justin – a servitor whose job was to debunk supernatural and religious myths until he was exiled for speculating on their existence and Tessa – a provincial girl “fostered” by Justin who provides us with an outsider’s perspective of RUNA. Mae and Justin team up to investigate a series of murders related to religious cults and discover that the world of logic and science so lauded by RUNA may not be free from the supernatural after all.For me the book’s strengths and failings were its characters. When Mead focuses on the back story of Mae and Justin, her writing really shines and it captivated me to know more about two such different people brought together under the most unlikely of circumstances. 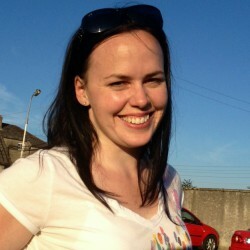 Unfortunately Mead chooses not to focus on her characters until late in the novel which made it difficult to connect with them and the story overall.The main story of Science versus Religion was oppressive and sluggish at times. As a major fan of fantasy suspension of disbelief comes naturally however in this book Mead hammers us constantly with anti religious sentiment that by the time the supernatural elements and “Gods” show up I found the story almost laughable. I felt it backfired turning me into a mini Dawkins eye rolling at the conclusion which irked me to be honest.The 3rd person narrative was a mistake in my opinion as it really alienated the characters from the reader. Mead’s strength is in creating amazing, warm, wonderful people who you can’t help but love and root for as you live through their eyes and this was noticeably absent.Despite all the issues I had with the book there was still enough glimpse of the Mead brilliance for story telling to make me want to buy book two. Hopefully with all the initial world building out-of-the-way, the story and characters will take precedence and the Mead magic we all know and love will be back with a bang.